Things will be a little quiet around ye ol' blog this week since we've made our semi-annual trip to Oregon and are hanging out with family. Including this bunch of 20(!) yahoos that descended on the house yesterday. Fun was had by one and all! Glad y'all are having fun! What a great picture of the extended family! 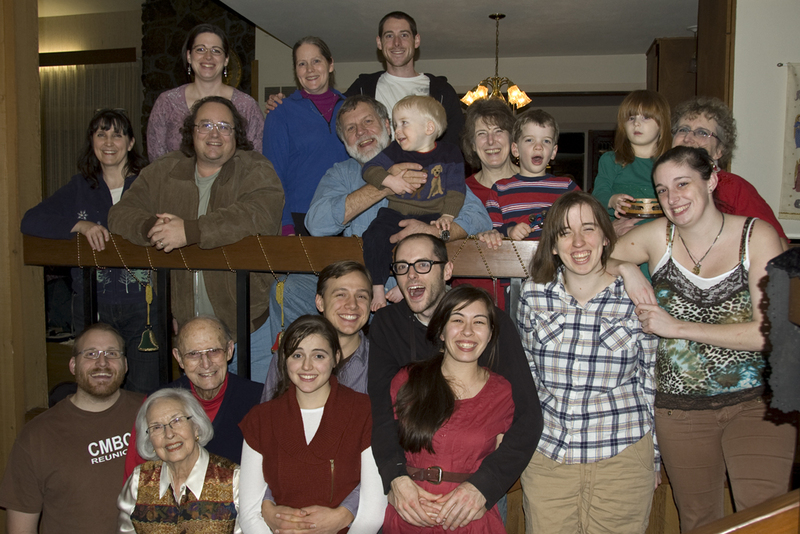 So fun to get together with cousins, aunts and uncles, parents, grandparents & great grandparents! Have a wonderful New Years! See you in 2012!